Yesterday, we published an anonymous guest piece titled “I Run A Business, Here’s Why I Will Never Hire Anyone Religious“. The title and content being what it was, it understandably got a lot of attention and comments. After all, a business owner expressing very politically incorrect hiring practices isn’t particularly acceptable in our current climate. 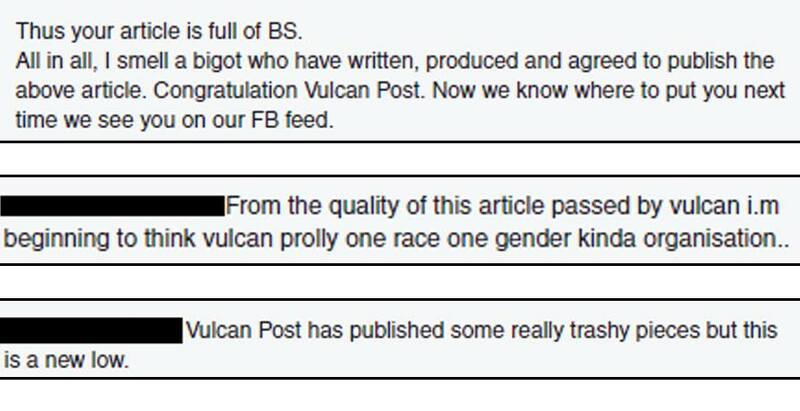 However, we’ve also been getting a string of comments on our choice of publishing such an article on our page. We’re not going to defend the guest writer’s stance or opinions. 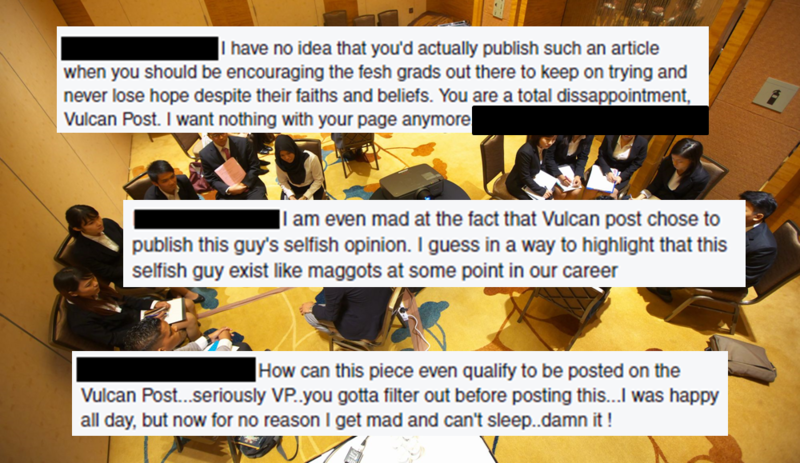 Upon receiving that submission, we did consider long and hard if we should publish it. And here’s our side. So to answer the main question that has been directed at us: we published it because it exists. When we first got that article, we did a bit of asking around. What we found was that quite a few company owners—particularly those with a more traditional mindset—agree with the sentiments the guest writer expressed. They might not have said it themselves, but when the example was brought up, they agreed that they only hire people of certain races or of certain lifestyles. One of our own writers experienced it herself. On the other end of the spectrum, she was told point blank by a very traditional company that she didn’t appear to share the same level of faith and thus didn’t fit the company culture. The fact is, this is real and this is happening in Malaysia right now. We should not just sweep such things under a rug. These are problems currently faced in the hiring industry. We can’t just always focus on the positives and ignore what is happening right before us. No one likes to discuss such things. It often feels that anything remotely sensitive needs to be hushed up. But it should be known that people hold such opinions, and that potential job seekers might face such difficulties in their search for work. The comments have already shown that many of the younger generation are more tolerant of others. They can recognise this for what it is and can now unite to do better. We need to show that there is a better and more inclusive way. Generating discussion around an ugly subject like discrimination, sexism or paedophilia creates awareness that such a thing exists. It also makes us more sensitive about how our own actions can improve the current landscape. Members of the media have access to a level of influence and rather than just plain telling people what to do and how to think, what about highlighting certain issues and allowing readers (and ourselves) to choose to do better? It all comes back to: Why hide it? If it’s real, we’re not just making it big for the sake of views or clicks. It’s all about redirecting people to thinking what can we do better. We know it’s out there and we shouldn’t ignore it. To those who have read the guest article and silently agreed, if they’ve scrolled over to the comments, they would have realised that there’s another side to the story. They need to know that other opinions exists. In the end, it’s about educating and creating awareness.